Dean's Award - Frances Dixon and Shannon O’Connell, both members of the Harvard Business School MBA Class of 2018, have been named recipients of the School’s Dean’s Award. Cheng Gao, a graduating doctoral student in the field of strategy, has been honored with the HBS Doctoral Programs Dean’s Award. 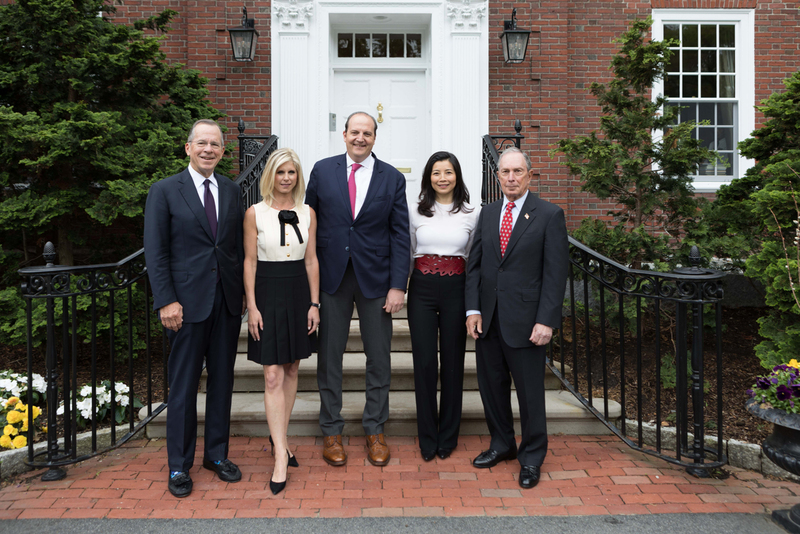 Alumni Achievement Awards - Harvard Business School conferred its most important honor, the Alumni Achievement Award, on five distinguished graduates as part of the Class Day ceremony for the MBA Class of 2018, who will receive their degrees today at Commencement. This year’s Award recipients are Claudio L. Haddad (12th Owner/President Management Program, 1987) chairman of Insper Institute of Education and Research, a university he helped launch in São Paulo, Brazil; Carla A. Harris (MBA 1987), vice chairman of wealth management and senior client advisor at Morgan Stanley, where she oversees the firm’s multicultural client strategy; Christopher B. Howard (MBA 2003), president of Robert Morris University, a nationally ranked, doctoral-granting institution outside Pittsburgh, Pennsylvania; Abigail P. Johnson (MBA 1988), chairman and CEO of Fidelity Management and Research (FMR) LLC. ; and John A. Paulson (MBA 1980), president of Paulson & Co. Inc., an investment management firm. Leadership Fellows -The Leadership Fellows Program gives nonprofit and public-sector organizations the opportunity to maximize their effectiveness by leveraging the experience, energy, and analytical skills of MBAs for one year at a salary partially supported by HBS. Harvard Business School MBA Class of 2018 Student Association Co-Presidents Angelica Castellanos and Kevin Ferguson II address their class Wednesday, May 23 during the 2018 Class Day program. Serrena Iyer, MBA 2018, gives the Harvard Business School Class Day student address Wednesday, May 23, 2018. Carla A. Harris, MBA 1987, vice chairman of wealth management at Morgan Stanley and one of this year’s Alumni Achievement Award recipients, speaks to the MBA Class of 2018.